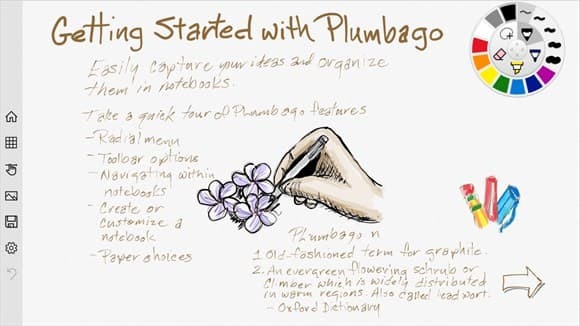 Plumbago, a latin word for Graphite, is latest offering coming from Microsoft garage Project. It is a digital notebook with handwriting smoothing, ink, and paper allowing users to write text, add highlights, make sketches, and draw on their devices using either pen or pencil strokes. It features an assortment of elegant color palettes, realistic inks, and useful papers for helping the note making on Windows 8, 8.1 or 10. Letting the users tweak the smoothening level for legible beautiful handwriting it helps see pages with ease of navigation.The app though still in nascent stages derives its inspiration from some of its current peers on market as OneNote and Paper. Its USP is "handwriting beautification" technology which allows the user’s handwriting to appear more legible. Incorporating the feature of Unlimited Notebooks it also permits to add pictures ,trace, highlight, and annotate imported image files further aiding to— organize ideas, notes, and writing in the notebooks. One can share pages or copy certain areas to the clipboard using the app with the ability to see one's writings or drawings spanning an indefinite number of pages. It also enables to copy specific areas to use in other apps, such as Word and OneNote. It can also amply give the feel of true paper sketching and realistic strokes. 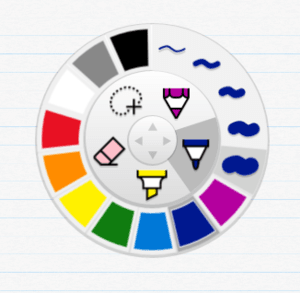 The app still being in experimental stages is prone to face some bugs and glitches; however it remains a very close approximation of a notebook and pencil writing. Plumbago is available to be downloaded for free from the Microsoft Garage site and the Windows Store.